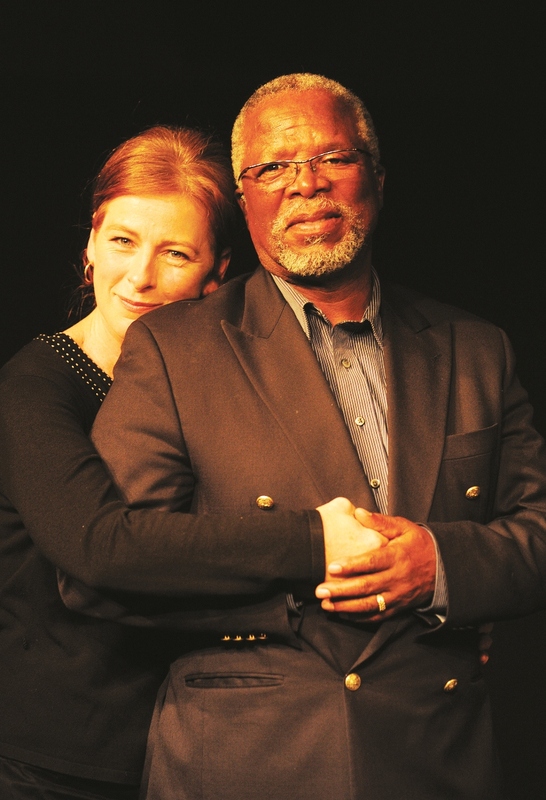 Susan Danford and John Kani, as Anna Ohlsson and her husband Robert Khalipa. Photograph by Andrew Brown. It’s not everyday that you get the chance to see veteran actor John Kani performing on stage, and the experience of watching this ostensibly vulnerable old man with rapier-like wit and electric timing is precious. The man has a magnetic stage presence; his performance in Missing is simply magnificent and will bring tears to your eyes. The play is, however, dated, and but for a superb production team and lovely collaborative energy, leaves you with little to upset your emotional equilibrium as you leave the theatre. As apartheid became more and more intolerable to the thinking and proactive intelligentsia of the left wing of society, more and more people went into self- or government-imposed exile. They made lives for themselves out of Africa. Children were born. Degrees were earned. The world continued to turn. Almost a generation away, it’s an interesting exercise to ponder the mindset engendered in the children of exiles. Enter the Khalipas. Robert Vuyo Khalipa (Kani) is married to Swede Anna Ohlsson (Danford) and they have a young adult daughter Ayanda (Ngaba). They are eminent members of Stockholm’s society, enjoying wealth, academic merit and respect from their peers. Indeed, everything is picture perfect, when gazed at through a superficial loupe. When you scratch the surface, however, many holes and sadnesses become apparent. For as long as he’s been in exile, Robert has yearned to be back in South Africa. To give his expertise to the newly established democracy. To stretch his limbs in the rural environment. To pay tribute to his late parents who died while he was in exile. It is the late 1990s/early 2000s in South Africa. Thabo Mbeki is president and the unfulfilled gestures of Nelson Mandela to embrace what Robert has to give is at the forefront of Robert’s hopes. The spanner in the works is one of his mentees, Peter Tshabalala (Ntshoko). His presence brings about the spectre of betrayal and one-upmanship, of opportunism and smarminess and hurt openly inflicted over the years, and of the difficult feelings from an improvised and too-quick and shallow ‘sorry’. Effectively, Tshabalala is the foil that lends this family’s existence discomfiting edge. But it is the performance of Kani in collaboration with Danford that keep you focused and on the edge of your seat throughout this intense, if wordy, piece. As a couple, they cohere with a sense of honesty that offers a generous give and take between two people who love one another and have been together for decades. Together, their stage presence is both elegant and sophisticated: as you would expect European academics and masters (or mistresses) of industry, at the top of their game, to be. A low point in the work is the casting of youngish performer, Ngaba – we’ve seen her recently as Mrs Lyons in Blood Brothers – in this work, she fits uncomfortably into the age of the character she’s performing. At first she seems to be an opinionated teenager, but when plans for her marriage and a mention of her medical degree are mentioned, it is clear she’s an adult with her own sense of identity. There’s a forcedness to the persona she offers, which doesn’t convince. The play itself, fraught with some cleverly engaging and unexpected narrative junctions, and a set change without the luxury of an interval, is a complex and meaty one; the fact that it reads as freshly as it does, given its very specific and historical setting, is attributable to fine direction and focus. Missing by John Kani is directed by Janice Honeyman with design by Mannie Manim (lighting), Patrick Curtis (set) and Birrie le Roux (costumes). It is performed by John Kani, Susan Danford, Apollo Ntshoko and Buhle Ngatha, at the main theatre, Market Theatre complex in Newtown, until July 13 (011)832-1641.